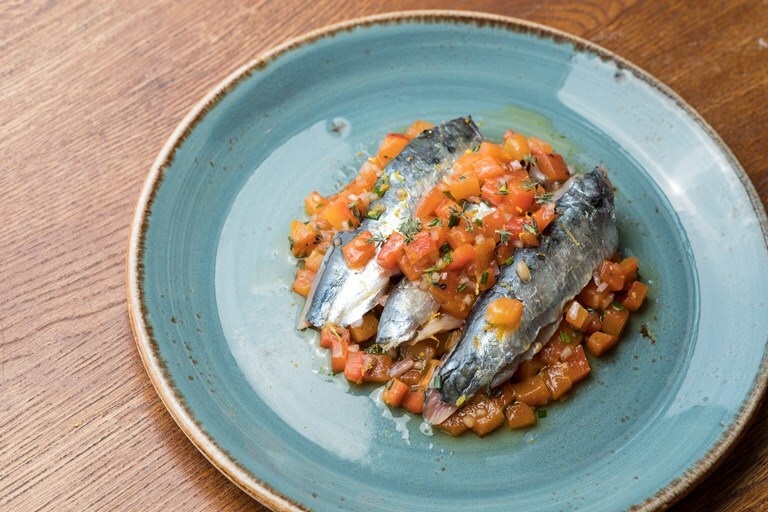 Tom Aikens serves up a sublime, summery dish of lemon-marinated sardines. Charred red peppers form the main base of the mixture, while orange zest, thyme and garlic add further layers of flavour. As with any uncooked fish dish, make sure you use incredibly fresh sardines for this dish. If you're lucky enough to get your hands on some fresh anchovies, these make a fantastic addition.